TED is a platform for ideas worth spreading. Started in 1984 as a conference where technology, entertainment and design converged, TED today shares ideas from a broad spectrum — from science to business to global issues — in more than 100 languages. Meanwhile, independent TEDx events help share ideas in communities around the world. 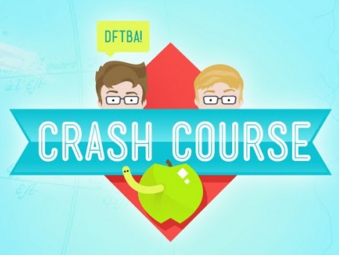 Crash Course on World History contains funny short videos covering the topic. The new movement to revolutionize math teaching and learning. YouCubed is a nonprofit providing free and affordable K-12 mathematics resources and professional development for educators and parents.